This is a small suckering, winter deciduous shrub. 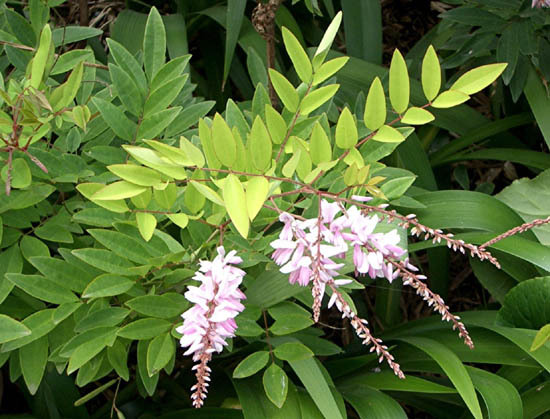 It flowers in Spring with chains of pink, pea like flowers about 15 - 20cm in length. It closely resembles Wisteria, giving way to it's common name of 'Bush Wisteria'. Cut back after flowering and it will give a second flowering in Autumn.